One of the key reasons Apple’s (AAPL) Mac became so popular was that, in addition to its good looks and powerful performance, it catered to creative types. And in creative circles, consumers still think of Apple as the go-to computer. But Microsoft (MSFT) wants to change that with the latest update to its Windows 10 operating system: the Windows 10 Creators Update. Available April 11, the Creators Update is designed to serve as the backbone of Microsoft’s Windows Mixed Reality capabilities. Originally called Windows Holographic, Windows Mixed Reality will allow developers to create mixed reality devices like Microsoft’s Hololens for the consumer market. You won’t see much from those updates in the near term, though. 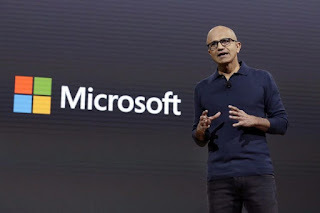 What you will see, however, are improvements to things like Microsoft’s Edge browser, enhancements for playing and streaming video games and a new 3D version of paint called, appropriately enough, Paint3D. I’ve been using the update for the past week, and its improvements to Edge and gaming alone are worth the download. Google’s Chrome might be the most widely used web browser on the internet, but Microsoft is doing everything it can to topple Google from its perch with its Edge browser. For the Creators Update, that means adding a new way to manage the litany of tabs you open each day. As a journalist, I generally have between 5 and 50 tabs open in my browser at once. And at the end of the day I end up struggling with whether I should just close them all or permanently bookmark them. To solve this problem, Microsoft has added a “set aside” feature for your tabs. Available by clicking a small button in the top left corner of the Edge browser window, set aside lets you literally set your tabs aside so you can open and use them later. That’s a huge help for people, like me, who do a lot of research online and don’t want to lose their work when it’s time to call it quits. It’s also helpful if you’re doing research and need to hold on to a few tabs for later. When you want to recall your old tabs, you just click the “Tabs you’ve set aside” button and a panel will slide out from the left side of the screen showing all of the tabs you’ve previously set aside. In addition to being able to set aside your tabs, the Creators Update brings tab previews to the Edge browser. Normally when I’ve got 20 tabs open, they end up running together and become hard to tell apart. With tab previews, you can mouse over a tab and see a visual preview of the page. It’s a small improvement, but should prove incredibly helpful, especially if your tabs have a good deal of images. Text-heavy pages, on the other hand, can be a bit difficult to tell apart.